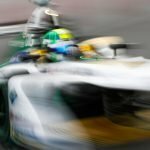 Sebastien Buemi crowned himself the king of the NYC E-Prix qualifying, securing his second pole this weekend ahead of the TECHETAH duo Andre Lotterer and Jean-Eric Vergne. 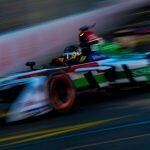 Unusual sights in Brooklyn: following a wet second practice session, the track was still damp when the first five drivers headed out onto the track for the last qualifying session of the fourth Formula E season. The conditions proved to be a challenge for a handful of the drivers in the first group and apparently experience was the secret ingredient as Stephane Sarrazin could establish himself on a provisional first place ahead of Tom Dillmann and Luca Filippi. Filling in for an injured Oliver Turvey, Ma Qing Hua suffered from the complicated track conditions and damaged his car when hitting the wall, thus not being able to match his competitors’ times. Next up were the top-five drivers of the championship. 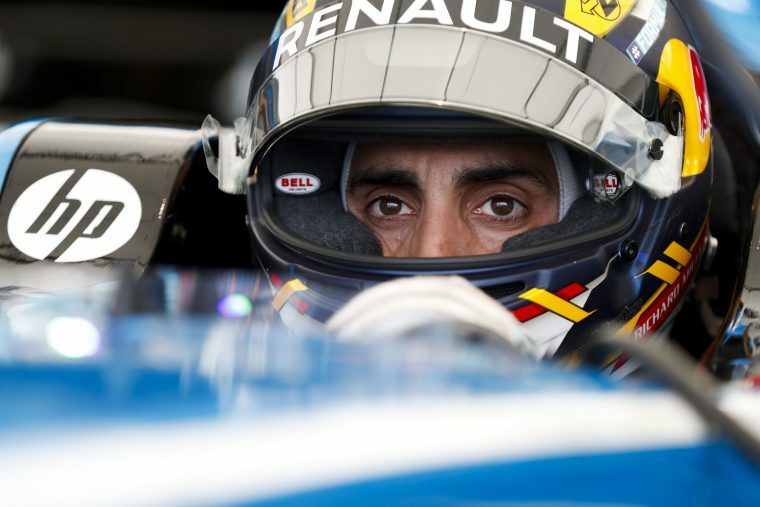 Conditions obviously improved as newly crowned Formula E champion Jean-Eric Vergne put in the second-fastest lap using just 180kw, so it did not come as a surprise that Sebastien Buemi quickly establised himself at the top after going round the track using all the power available. Nevertheless, yesterday’s race winner Lucas di Grassi went even faster while his teammate Daniel Abt secured a provisional third place ahead of Vergne. Sam Bird meanwhile put his DS Virgin Racing car on the P5 hot-seat and thus had to hope that no other drivers would be able to beat his lap time. With the track looking much less wet when Maro Engel, Jerome d’Ambrosio, Antonio Felix da Costa, Alex Lynn and Jose Maria Lopez headed out but none of them where able to challenge for a top-five position. The DRAGON due of Lopez and d’Ambrosio had the best run in the third group, securing a provisional P7 and P8 perspectively. Their direct group competitors meanwhile were not able to put their cars on any of the positions in the top-ten, da Costa did not even put in a complete full-power lap. With the last group making its way onto the track, all eyes were on the track conditions. As it started to rain once again, the question was whether any of the five drivers would be ale to challenge for the top-five. Felix Rosenqvist was the first group-four driver to cross the line, securing P6 for the moment. Nevertheless, Andre Lotterer put his TECHEETAH on a provisional third place, thus managing the jump into the last Super Pole shootout of the season. Mitch Evans and Nelson Piquet JR meanwhile sured P6 and P7 in the end, pushing Bird back to an overall eighth position on the grid. Time for the last Super Pole of this Formula E season, which would be a tough battle. The newly crowned champion Jean-Eric Vergne headed out first, but he did not manage to get in a flawless lap. Daniel Abt, who was the second driver of the group, showed a strong lap and a fantastic third sector, but he misse Vergne’s lap time by one tenth of a second. But the Frenchman’s teammate Andre Lotterer did – and beat Vergne by a few hundreds of a second, making it a TECHEETAH double at the front. Sebastien Buemi did not want to leave things like this and went even quicker than the TECHEETAH duo. The last man hunting for pole-position was Lucas di Grassi – but the Brazilian simply wanted to much, putting his car into wall and thus handing Buemi the last pole-position of the season.